the nytpicker: NYT: Yes, We Replaced The Word "Gay" With The Word "Beep." No, It Wasn't Intentional. NYT: Yes, We Replaced The Word "Gay" With The Word "Beep." No, It Wasn't Intentional. The Times has issued a statement categorically declaring that it does not consider "gays" to be "beeps." Yesterday, a gay blog called "Towleroad" posted a hard-to-believe but impossible-to-ignore screen grab -- it showed that text-message versions of Times articles automatically substituted the word "beep" for gay. "Now while I wouldn't be surprised if Rick Warren thought of me as a "beep" person," I'd expect better from the New York Times," the blogger wrote. "I would demand that they change it." His website included the headline from a December 24 Frank Rich column, "You're Likable Enough, Gay People," which read on the blogger's iPhone: "You're Likable Enough, 'beep' People." The Nytpicker read the blog post yesterday morning, and as a test we sent the same Frank Rich column via text message to a friend's iPhone. The word "gay" appeared, and so we assumed the blogger just had a glitch in his cell-phone software. I plead that you put my name in with the hundreds of others who are and will complain to The New York Times about this blatant discrimination and that this "rule" changes immediately. I know that I and many of my friends and family will not be reading The New York Times any longer if this does not change. Recently, a technical error occurred with The Times's text messaging platform that caused the word "gay" to be replaced with "bleep." This was unintentional and we regret it occurred. The problem has been fixed and we have taken steps to prevent it from happening again. Okay, fine, we believe you, even though we really wanted to think some Times homophobe had gleefully inserted a software slur into its system. Wait a minute. 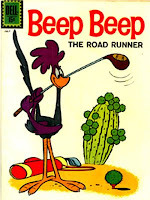 It wasn't "bleep," it was "beep." Hey, now we're suspicious all over again.